Dogs can live up to 20 years. That’s a long time to have a canine companion. If you want to make the most out of those years, you have to focus on health and wellness, and that starts with your dog’s fitness and nutrition. Just like humans, dogs need to stay in motion to keep their muscles and joints working. Exercise also burns calories and can help keep your pet’s weight under control. An overweight pet is at a higher risk of deteriorated health and many debilitating health conditions, including heart disease and diabetes. How much physical activity your dog needs depends on his age and breed. 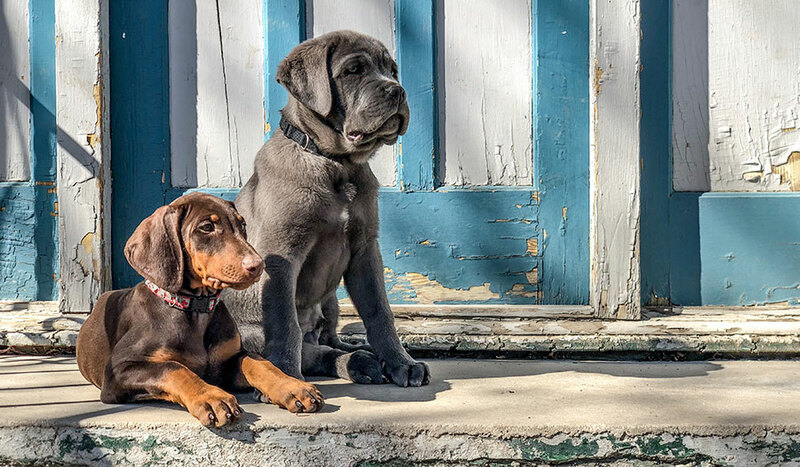 Puppies of all breeds likely need several hours of unrestricted play time each day. Older dogs can benefit from 30 to 60 minutes of time at the dog park or walking through the neighborhood. The American Kennel Club asserts that it is important to know your dog’shealthy weight and to consult with your veterinarian if you have concerns. Another benefit of exercise is that it provides mental stimulation and socialization opportunities for your pet. Keep in mind that dogs are pack animals and, according to DogTime.com, don’t do well when they’re neglected. Spending time with your pet by exercising together is one way to increase your bond and ensure that your pet feels like part of the family, which is important for his overall health and happiness. Also like humans, your dog needs to eat a complete and balanced diet. This means he must intake ample fats, proteins, carbohydrates, and vitamins. Dog food also provides amino acids and important minerals. The Pet Food Institute explains that most commercial dog foods are comprised largely of poultry and meat byproducts, meat and bone meal, and rice, barley, or whole-wheat. While the occasional table scrap treat isn’t going to cause any damage, the bulk of your dog’s diet should be comprised of food made specifically for canines. Overfeeding is an issue as well, with the average dog in America being given more food than they need. Avoid the temptation to allow your pet to “free feed.” There is no reason other than convenience to keep his food bowl full all the time. Your veterinarian can help you determine the optimum amount of food your dog needs each day. If you’re concerned that your dog isn’t getting a proper balance of nutrients, you can always enhance his diet with high-quality supplements to help with digestion, heart health, cognitive function or other concerns you may have. If you take your dog out in public, such as to the dog park or pet-friendly walking trails, you must be diligent at all times to ensure he or she isn’t inadvertently exposed to sickness. Angie’s List notes that you should only take your dog into these areas if he’s been vaccinated and is on a parasite prevention product. You’ll also need to keep an eye out for potentially aggressive dogs or signs your dog is getting agitated with his playtime peers. In order to truly enjoy your time together, make sure your dog has the proper gear for the outdoors. For instance, you’ll want a leash that’s comfortable and easy to use. A portable water bowl and proper ID tags are also valuable if you’re going to be away from home. Food safety is important, too. FoodSafety.gov explains that you should always wash your hands before and after handling your dog’s food and treats. This will also help reduce foodborne illnesses if you come into contact with pet feces. Dogs can get food poisoning, even from dry food, so if it looks or smells unusual, throw it out. You no doubt love your dog – or will love your future dog – and you can show it by looking out for his health and wellness from puppyhood on. He will be healthier and happier, and you will have a companion for many years to come.